Pokémon is huge. The Chinese people love it, I love it. But with the console ban, China hasn't had any legally translated copies of Pokémon until recently, with the Chinese versions of X and Y. How has China lived without Pokémon? They created their own, in the shape of a free to play online browser game called Seer. Launched in 2009 by the Shanghai Taomi Internet company, Seer was a different type of online game. The focus of the game was to create a science fiction-themed social network for Chinese youths aged 7-14. In the process of creating this social network, Shanghai Taomi aimed to put a few "positive focuses" into the game — such as focuses on physical health, creative thinking and discovery, among many more. It's unclear how those focuses translated into the gameplay of Seer (particularly the focus on physical health as Seer is a video game), but Seer plays very much like any point and click adventure. The only difference is that Seer is more like Nintendo's Pokémon meets NeoPets. The game takes place, of course, in space, where the player (who actually isn't human) is aboard a space ship called the Seer. Onboard, there are robots and other non-playable characters, but the most important parts of Seer are the creature capture and training portions. Like Pokémon, players can come across a space monster and capture it to use it for battle. Battling in Seer is pretty much the same as battling in Pokemon. The only difference is that instead of the over the shoulder view in Pokémon, you're looking at a linear, front-facing battle. Each creature has four moves, the player can choose to use a move to attack, use items, or to run from the battle. Since Seer is a free to play browser game, the art polish isn't as good as in Nintendo's crown jewel. It's very similar to NeoPets, but with much better animations. 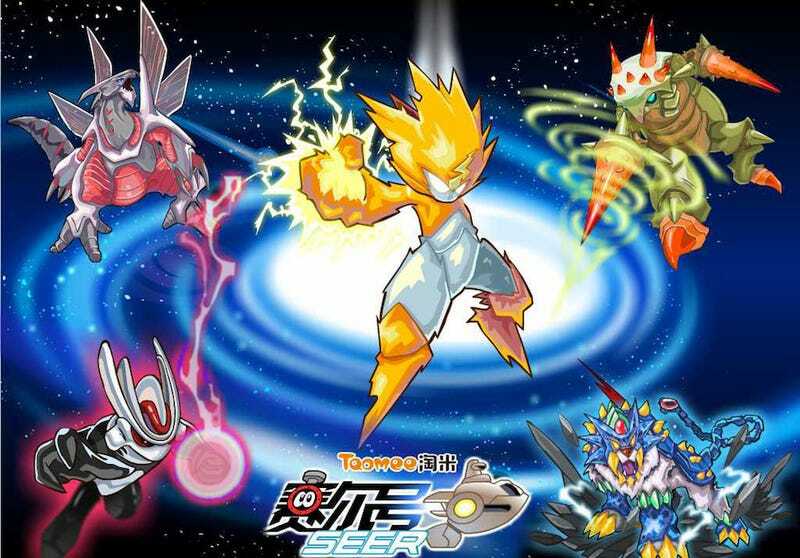 While Seer doesn't look very different and it doesn't play any different from Pokémon, it is interesting to see how China developed its own version and how widely it's been accepted. Seer is a free to play browser game, so sign-up isn't as complicated as with other Chinese games. No Chinese ID is required.